Welterweight grapplers Roan Carneiro and Kenny Robertson kept the action coming at UFC Fight Night Hidalgo tonight (September 17, 2016) on FS1. Robertson came out with his trademark awkward movement featuring twitchy head movement. He backs Carneiro toward the cage, and they clinch up. “Jucao” reverses and drags Robertson to the mat, but the American escapes back to the feet. Robertson throws a body kick and eats a right hook to the face in return. The welterweights briefly clinch, and Carneiro pulls down Robertson’s head to feed him a knee. The two wing wild punches but fail to connect. The former Eastern Illinois wrestler flicks out a few kicks but doesn’t land. He continues to stalk Carneiro and lands an overhand right. But not a lot of offense is landing on either side. “Jucao” attempts a spinning back fist but it is blocked. Robertson again pushes his foe back toward the fence, but Carneiro fends him off with two hard kicks and a glancing punch. Robertson is using his lead hand to paw, back Carneiro up, and line up a power punch, but misses on a haymaker. A few combinations partially land for Robertson, and the Brazilian hits a hard leg kick as the round ends. Robertson again opens with pressure to start round two, but is struggling to find the mark. Carneiro connects with a good straight right but fails to follow up. The two exchange leg kicks. Carneiro finally counters the forward movement of the American by changing levels for a takedown. Robertson sweeps the Brazilian Jiu-Jitsu black belt, and settles into half guard. He grinds with elbows and punches to the body. 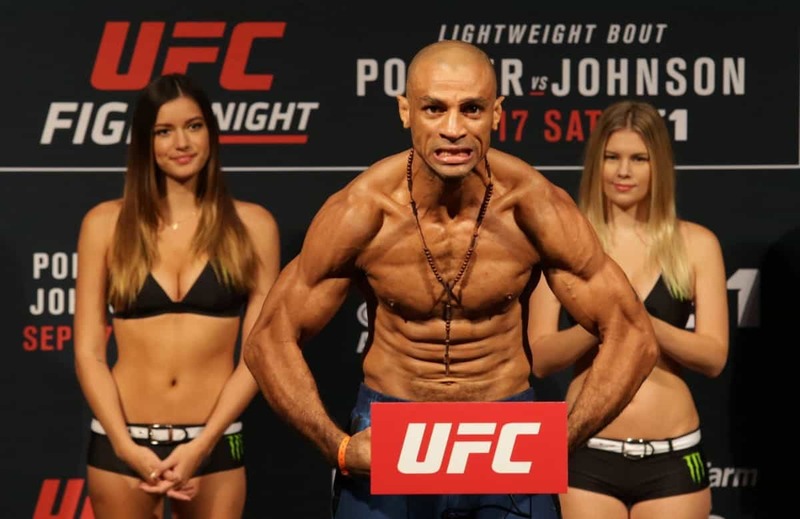 “Jucao” nullifies most of the offense, but Robertson continues to threaten with strikes and advancements. Carneiro gets an angle and briefly fishes for a leg lock, but Robertson quickly escapes. This time he settles into full guard. Carneiro is reaching up and grabbing his own leg to stall, but then uses the position to sweep directly into mount. The American grips his hands behind Carneiro’s back to break his posture, and the Brazilian fails to land much of note during his minute in dominant position. The striking continues to look sloppy at the start of round three, but Carneiro is having success countering Robertson. A Carneiro takedown is immediately reversed by Robertson, and the two return to a standing position. Robertson continues to pressure, but his tricky movement is largely gone and his punches are coming slowly. Carneiro has success countering, but fails to land something significant enough to deter his opponent. Midway through the final round and Carneiro is getting the better of the punching exchanges, but Robertson is staying in his face. The former D-1 wrestler is wearing it a bit after eating a stream of “Jucao” jabs. He stays on the offensive though. With 30 seconds left Carneiro goes for a takedown but gets stuffed. The two wing punches as the time ticks away, but hit mostly air. Final Result: Roan Carneiro def. Kenny Robertson via Split Decision (30-27,29-28,28-29).